As every citizen who inhabits this metropolis knows, Kolkata is divided into the north, the central, and the south. Central and south Kolkata are hubs of activities where new residential and commercial settlements have sprung up since the second half of the previous century. The north, on the other hand, harbors the history of the city. Life has found her way through the narrow streets and cozy buildings, today a wide range of housing options are now available in the city, from affordable homes to luxury bungalows. As one century gave way to the next, life in Kolkata changed at an aggressive pace. Once the epicenter of Bengal Renaissance and unlimited fortunes, some consider that north Kolkata got caught up in a time warp and continued to be associated with run-down mansions and leisurely life. However, just as the fading of the yesteryears was inevitable, the dawn of tomorrow is assured. New living standards are surely in the offing in the heartland of heritage, with the launch of ‘Emami City’, the largest residential complex of North Kolkata. ‘Emami City’, the largest premium residential complex of 25 lakh acres in North Kolkata, is all set to change perceptions about the area. Taking vastu-compliant, cutting-edge residential apartments to Jessore Road, Emami City has set a standard that defines lifestyle in North Kolkata in years to come. This B+G+13 tower with 2 to 4 BHK apartments comes with beautiful boulevard, gymnasium, landscaped garden of 1.5 acres , multi-purpose hall and recreational facilities. Located on Jessore Road, North Kolkata, ‘Emami City’ offers homeowners excellent connectivity because of its prime location and proximity to necessities of daily life. 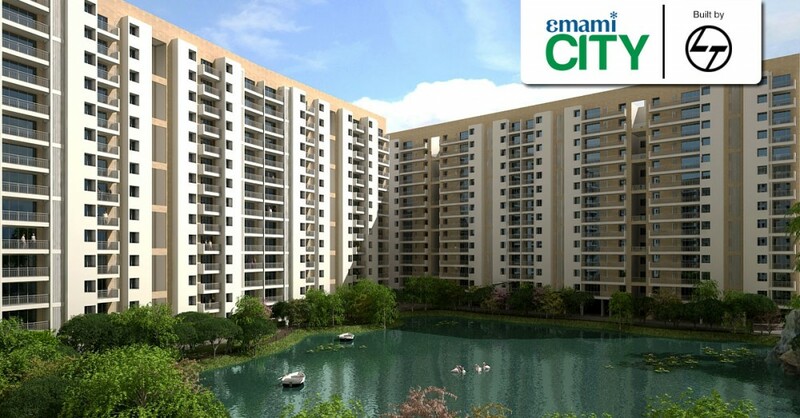 Founded on the grounds of heritage and history, Emami City has risen with its focus on the future. This entry was posted in Kolkata and tagged Emami City, Flats in North Kolkata, Life in Kolkata, Luxury Bungalow, North Kolkata, Residential apartment on January 12, 2016 by admin.